Through the journey of pregnancy, most women experience some less-than-desirable (or downright awful) conditions, such as morning sickness, trouble sleeping, urinary tract infections and more. While diet and lifestyle modifications can aid in easing many of these symptoms; often times, more is needed. However, pharmaceutical solutions pose their own risks, especially during pregnancy. Fortunately, Mother Nature—in her infinite wisdom—has supplied many natural remedies for common pregnancy ailments. While not all herbs are safe during pregnancy and some have not been adequately tested, there are several with a proven track record as safe and effective treatments for expectant mamas. Herbs have been used for thousands of years to treat the discomforts and problems arising during pregnancy. 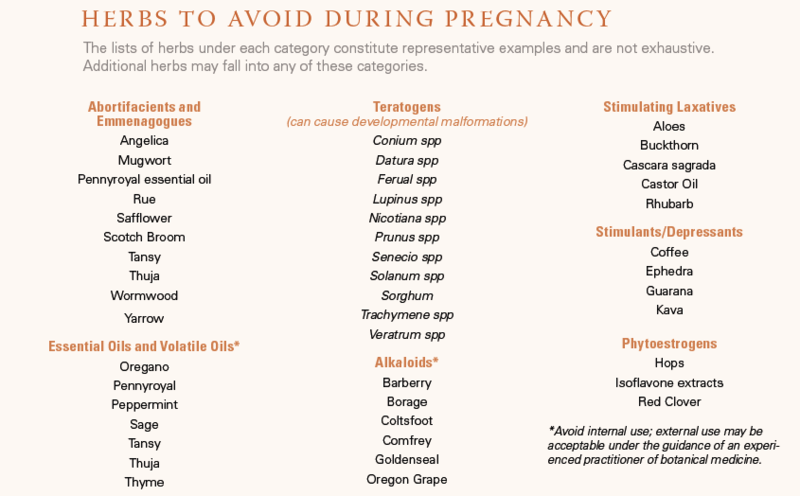 Because many herbs have not been extensively studied in pregnant women, and others are known to be unsafe, it is important to use herbs with caution and under the guidance of your care provider. Herbs consumed as tea infusions in moderate amounts and consumption of normal levels of cooking spices are generally considered safe when expecting. 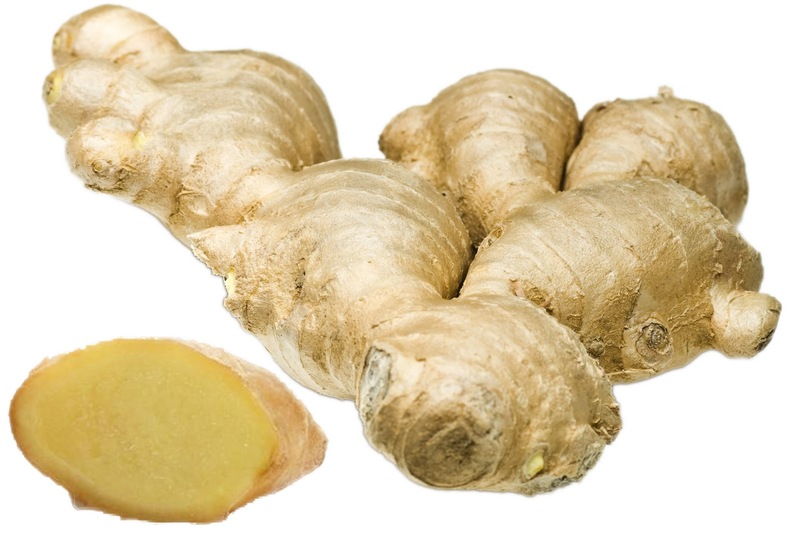 Spicy and warming, ginger root is an excellent treatment for nausea and vomiting during pregnancy (i.e. morning sickness). Morning sickness can be a grueling experience in pregnancy, which most women would give anything to relieve. Fortunately, there are natural treatments that can alleviate nausea and sickness in pregnancy. Ginger can also help with colds, reducing chills, coughing, and aching muscles. While it is safe and easy to drink tea infusions (1 tablespoon of fresh grated ginger per cup of boiling water, 1-3 cups daily) or take capsules of ginger, these may not agree with some women’s stomachs in the throes of morning sickness. There are many ginger products on the market. Ginger candies and crystallized ginger (available at Whole Foods, co-ops, and online) are easy to keep stashed in your purse or nightstand and you can nibble them in small amounts as needed throughout the day. Reeds and Ginger People offer great ginger products. Ginger ale or ginger beer can also help. While drinking soda is not ideal in pregnancy, a little ale to relieve nausea may be a worthwhile temporary savior if it does the trick (many women are further aided by the carbonation in these drinks). Squeeze the juice from the grated ginger into the sparkling water. Add sweetener and lime juice to your liking. Cranberry juice is excellent. We recommend the real deal, not the super sugary types. Trader Joes and the coop sell unsweetened 100% cranberry juice. It packs a serious sour punch, but can be made much more palatable (and still healthy) by diluting with equal parts regular or sparkling water, and adding a sweetener such as stevia. 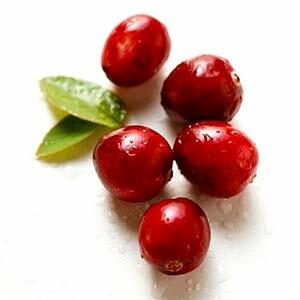 Cranberry capsules can also be effective. Chamomile is a great herb for soothing frayed nerves, calming stomach upsets (i.e. indigestion, constipation and nausea), relieving heartburn, promoting better sleep, and more. This herb is gentle on the stomach and has a pleasant taste. 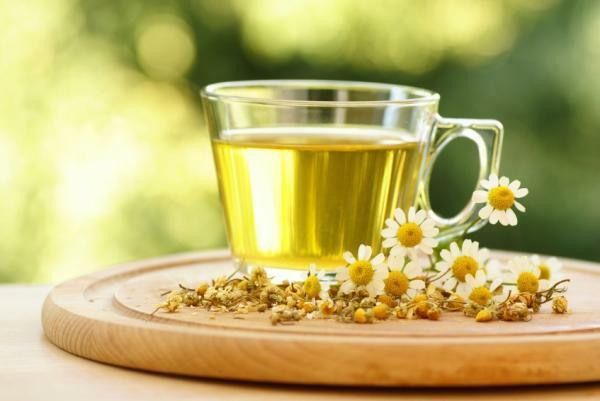 Chamomile tea can be taken as needed throughout the day or in the evening before bed. You can use pre-prepared tea bags or steep 1 tablespoon of chamomile flowers in 1 cup of near-boiling water for 10 minutes, covered. Chamomile baths can also promote relaxation (consider adding lavender to the bath as well). 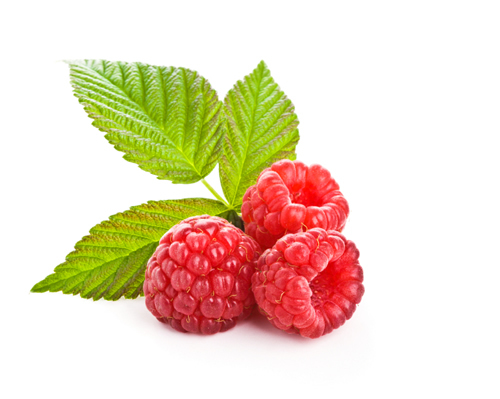 Red raspberry leaf is hailed as an excellent tonic for pregnancy. It is rich in vitamins and minerals (including iron) and contains fragarine, a substance that tones the uterine muscles. Some studies have found that red raspberry leaf tea can help expedite labor and reduce potential birth complications and interventions, such as hemorrhage. The recommended dose of red raspberry leaf is 1.5 to 5 grams daily in tea form (about 1-2 cups daily in the second and third trimesters). Many women like to combine this herb with others (such as rose hips or chamomile) to improve on the flavor. Mix together and place into a reusable tea bag or French press. Steep in 8 oz of boiling water covered for 20 minutes, strain and drink 1-2 cups daily. Pregnant women get colds like everyone else. 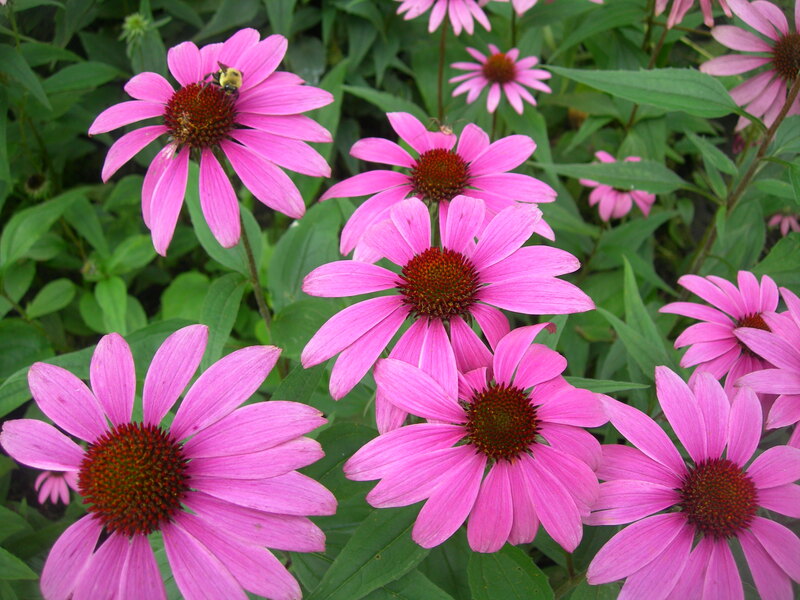 Echinacea has been shown to reduce the duration of colds and prevent them from recurring. As such, this herb can be safely used in pregnancy before the onset of a cold or during a bout of illness. The best way to echinacea is in tincture form. Be sure not to get a tincture that also has goldenseal, as this herb is not safe for pregnant women. The recommended dose of enchinacea tincture is 5mL (1 teaspoon) twice daily. Capsules can also be used. 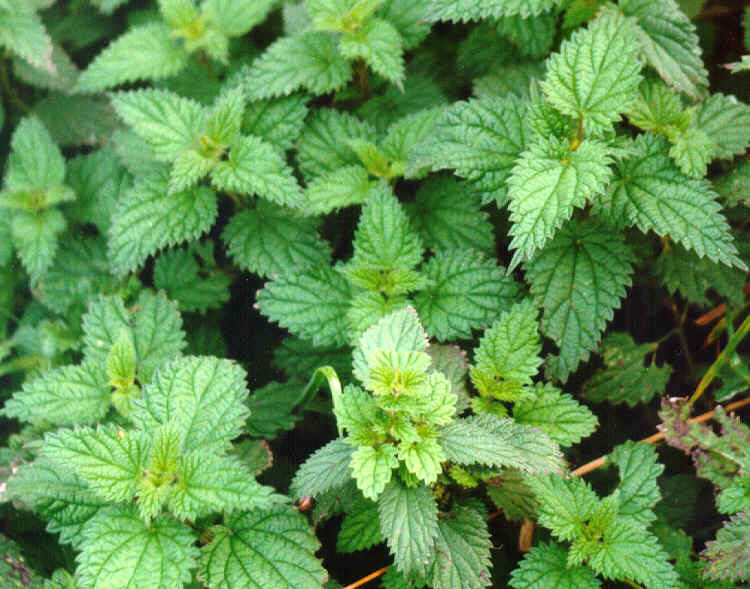 Some of us know nettles as that nasty plant you don’t want anywhere near your skin. But believe it or not, this herb has many healing properties. Nettles have high quantities of bio-available vitamins and minerals, nourish the kidneys (which are working hard in pregnancy), reduce the risk of anemia, and decrease the risk of hemorrhage at birth. The most effective way to use nettles is to make a tea infusion, eat them fresh chopped into a salad (careful when handling), or consume freeze-dried capsules. You can also use in tincture form.